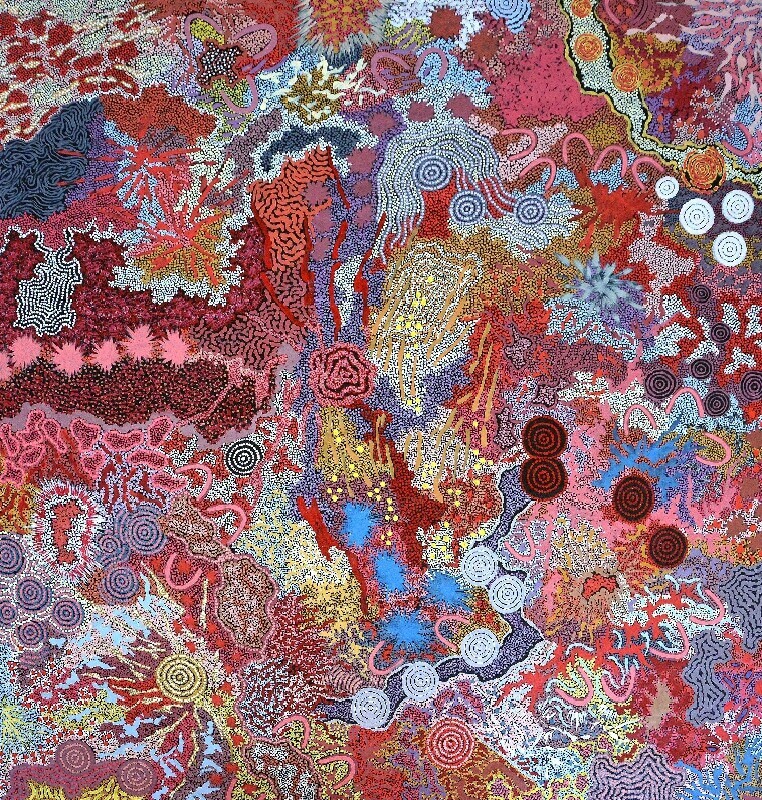 Gabriella Possum Nungurrayi (Australian, Aboriginal; b. 1967): Grandmothers Country – Bush Tucker Dreaming. Acrylic on linen, 192 X W-202 cm. Kate Owen Gallery, Rozelle, NSW, Australia. © Gabriella Possum Nungurrayi. Image: © Kate Owen Gallery. © This artwork may be protected by copyright. It is posted on the site in accordance with fair use principles.